tolerance ability. It has low chlorine content. health and safety precautions, please see the related Material Safety Data Sheet. Tianhe Chemicals Group (hereafter referred to as "Tianhe Chemicals") ,the headquarter is located in the economic development zone around Bohai Sea, in the city of Jinzhou, a beautiful coastal city of Liaoning Province. Tianhe Chemicals has been the first level network supplier of Sinopec and PetroChina, the science & technology project base supported by the Ministry of Science & Technology of China and has passed the quality control system ISO9002, ISO9000, ISO9001certification, environment certification ISO14001 and occupational safety certification GB/T28001 2001. 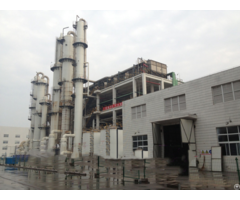 Tianhe Chemicals grew out of Yixian Fine Chemicals Factory which started business in 1992; in 1998,Liaoing Tianhe Fine Chemicals Co., Ltd. was established, with the registration capital of RMB100,000,000Yuan in 2007, Tianhe Chemicals Group came into existence affiliated by four companies, five key production foundations and one R&D center, which are Jinzhou DPF TH Chemicals Co., Ltd., Fuxin Hentong Fluorine Co., Ltd., Zhongbei Petroleum Chemicals Co., Ltd., Zhongya Petrochem Science & Technology Co., Ltd., Western Hill production foundation, Bawangzhuang production foundation, Haizhou production foundation, Zhongbei Chemicals production foundation(Bohai Gulf state level development zone),Zhongya Petrochem production foundation(Qinzhou state level development zone)and Liaoning Tianhe Fine Chemicals Engineering Technology Center. 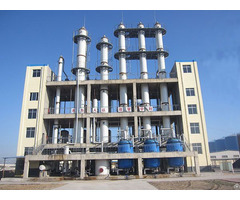 Tianhe Chemicals specializes in four serial products, including lubricating oil, lubricating oil additives, fluorocarbon alcohol and hydrofluoric ether etc. in more than 200 varieties of fine chemicals. 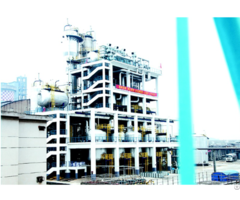 With resort of product variety, production capacity and technology patent, the market share of Tianhe Chemicals has been comprehensively at the top of the list in the whole domestic fine chemical industry. Tianhe Chemicals has always been contributed to research & development, manufacturing and sales mode of high end fine chemicals, devoted to the leading strategy of collectivization, internationalization and innovation, the business operation covers Asia and more than 50 countries and regions around the world, forging "the first brand" in Chinese fine chemicals industry. Glorious history, lasting memories, never ending exploration of science and the pursuit of technical excellence inspire Tianhe people from generation to generation to strive and recreate the past glory.